One of the most important principles for designers is having "strong ideas, loosely held." This philosophy allows teams with diverse backgrounds to tap into individual design intuition, bringing their unique points of view, but remaining open to change. This is easier said than done. Designers need support on both sides of this equation: ways to communicate good ideas and tools that keep them open to evolution. Where do strong ideas come from? Informing design with research is critical, but for many projects, ideation and prototyping start on day one, primarily based on design intuition. How can we trust these ideas? Reflecting on where design ideas come from can help us evaluate them and collaborate better by communicating more than "it feels right." How can we hold ideas loosely? Prototyping is exciting because it makes a design idea tangible and real. But it also risks triggering confirmation bias, where we only seek new information that confirms we're on the right path. This is particularly fraught as our prototypes become more complex and difficult to change, utilizing a diverse array of physical and digital technologies. The writer Donald Schön described design as a "conversation with the materials of a situation." A prototype with too much complexity can cut that conversation short, solidifying ideas too early because new ones are difficult to explore. In this webcast I will share techniques for designers to reflect on that conversation and prototyping tools to help simplify it. One of these tools is Noam, an open source prototyping platform that emerged from project work at IDEO. Noam makes it easy to translate between disparate hardware and software, allowing designers to seamlessly collaborate and loosely hold strong ideas until the last minute. Simon will be presenting at O'Reilly's new online conference, Experience Design for the Internet of Things on May 20. He’s also participating in the new Design track at Solid 2015, June 23-25, in San Francisco. 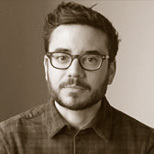 Simon King is a Design Director at IDEO in Chicago. His work encompasses both macro- and micro-interactions across diverse mediums and audiences including large-scale medical imaging equipment, vehicle HMI platforms, personal health apps, and financial planning tools. He holds an MDes in Interaction Design from Carnegie Mellon University and a BFA in Graphic Design from Western Michigan University.